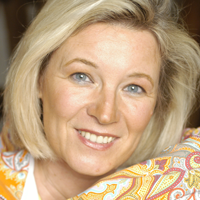 Felicitas Birkner is Head of Portfolio Management at Fujitsu. She is responsible for three BS2000 mainframe business areas: product planning and delivery, business development and EPS Mainframe Academy. Finishing the university studies her career in the corporate world of high technology companies started almost 25 years ago. Felicitas has been involved in various roles with extensive professional expertise in sales, marketing, training, business management, and business administration as well as in strategic alliances. In 2009 she developed the P.e.P. Lebens•Stil•Programme® and implemented an entrepreneurship as trainer, coach and business moderator supporting change management projects. As Co-founder and Vice President of the Professional Women’s Network – Munich e.V, she developed the PWN Mentoring Program, leaded them up to 2017 and is currently acting as mentor and member of the PWN Munich advisory board. “Our world is more and more data driven and becomes ever more and faster connected. The implications of hyper-connectivity are enormous, each day inspiring new perceptions and understandings of what is possible. In that field information communication technology (ICT) is a key driver for progress. Since many years I have been excited about working in the ICT sector, feeling myself a part of it by sharing experiences, knowledge transfer and taking over responsibility. Responsibility plays an increasingly important role in what will make us successful on our way into the future. At the heart of a responsible action the inner driving force is the people’s own motivation.